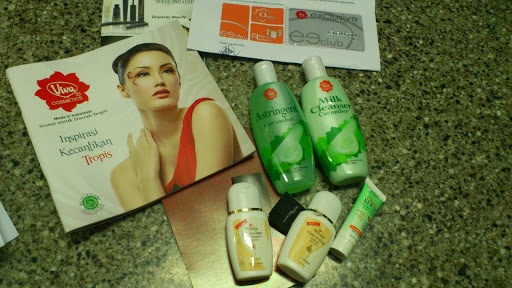 I can’t even recall when was i submit my address on viva cosmetics website, but yesterday this package arrived on my doorstep. Surprise, surprise .. a set of cleanser and tonic, mini-sized lotion, moisturizer and face mask. Yay!